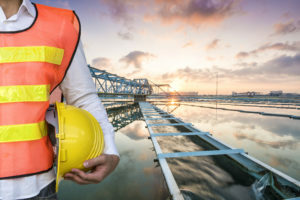 Many modern water and wastewater treatment plants rely on a fiber optic network to function as the communication backbone for the treatment facility. These networks simultaneously carry many different types of critical data communications including SCADA, Video Surveillance, Access Control Systems, VOIP Telephone, Internet, and Municipal Intranet. Due to the criticality of these systems, it is imperative to insure that they are properly designed, installed and maintained. We also offer annual and monthly Service Plans and Remote monitoring and Administration of your servers and workstations. Selection of communications transceivers or switches that fits the data format you plan to transmit with consideration for future expansion. Select fiber optic products that are specified to work over the range of your application. Select fiber optic cable types that are appropriate for the application. Plan ahead for any splicing requirements or service loops. Choose connectors of a style and termination type appropriately for the application. Perform a cable plant link loss budget analysis to determine if the design will work properly. Test the cable for end-to-end optical loss and/or OTDR. Install the communications products and test their operation. Document the fiber optic network. Registered, Certified and Qualified. Fiber Integration Experience You Can Trust. MR Systems is certified as one of Corning’s Network of Preferred Installers. If your fiber optic network is supplied, terminated and tested by MR Systems, and uses all Corning certified components, your treatment plant will receive a Corning Cable Systems LANscape® 25 Year Solutions Warranty. This will ensure reliable lightning fast communication for decades to come. Download the Fiber Optics Brochure HERE.